Many of you have reached out about helping our friends in Puerto Rico after hurricanes Irma and Maria. The situation, as widely reported, is devastating. There is significant catastrophic damage, and lines for rationed food, gas, and water often stretch for days. Survival remains the top priority. The storms have especially impacted our FFA members and advisors, many of whom work and live on the outskirts of the heaviest-populated centers.National FFA recently established limited contact with state staff in Puerto Rico, and we are working with them to see how we can help. We will pass along news about how to support our FFA members in Puerto Rico when it becomes available. We ask that you direct any questions to our Local Program Success team. San Juan, PR 00919-0759Make checks payable to the Futuros Agricultores de America (the account name is registered in Spanish). Write “Hurricane Relief” in the memo section of the check or money order. Donations are tax-deductible.As soon as we have news from our chapters in the U.S. Virgin Islands, we will let you know. If you haven’t had a chance, take a few minutes to check out our FFA Video Center. We have videos on topics ranging from careers in agriculture and FFA history, to supervised agricultural experiences. Speaking of SAE's, we recently added a new video profile on FFA member Peyton Moore from Bullard, Texas, and her SAE in agritourism. She works on her family’s pumpkin patch. On fall weekends, people can pick their own pumpkins, and Peyton helps to educate them about how pumpkins are grown, and about agriculture in general. More SAE videos from Texas and New Mexico will be added soon, so check back often. Click here for the 2018 CASE Institute Schedule.Registration for 2018 CASE Institutes opens December 1st. Each site can accommodate approximately 20 participants. This year’s offerings include several fast track institutes. Fast track institutes are for teachers with at least one prior CASE certification or the Pedagogical Theory and Implementation (PTI) training. Pre-Institute homework is required. PTI training must be completed prior to the kickoff of the fast track institute and will have online coursework and an additional fee. The hours to complete PTI training and a fast track institute will be similar to hours at a standard institute.Many CASE Institutes' registrations filled quickly last year, so teachers should be sure to register as soon as they secure the appropriate funding. She’s not a two-faced feline. 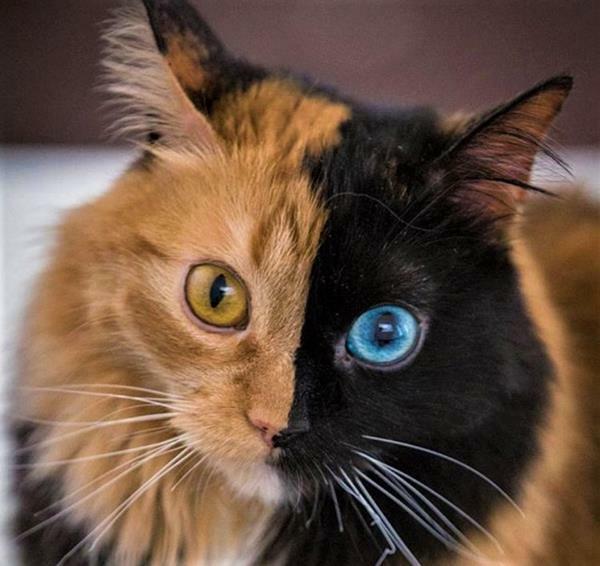 She’s a chimera cat. Friday, November 17, 2017: Lots of turkey talk, a look at USDA actions, and a farm girl who becomes a space ninja. Chimera cats, monster lobsters, and many more ag/science stories.